That’s a killer of a unit. All it does for me is whet the appetite about how much of a monster the Mac Pro will be. (Oh, and how expensive too). Mac Pro? I was beginning to think these were being discontinued. Looks so good but I wish it was retina. If I didn’t buy a new MacBook Air just a few months ago I may have got one of these instead! Can you upgrade the RAM on the new iMac without taking it to an Apple technician as in previous iMac’s? 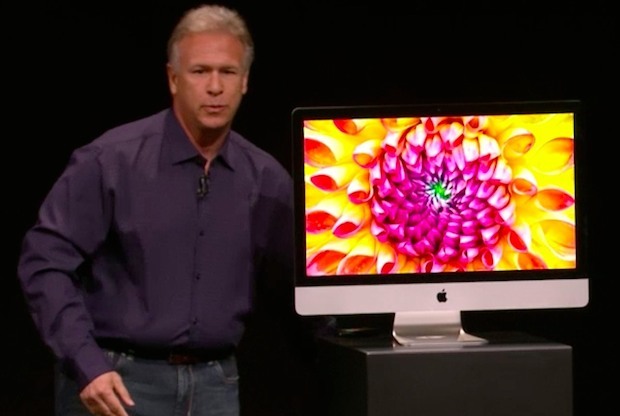 The RAM does not look easily accessible on the newest iMac. Thanks Dilbert, but how do you know the new 2012 27″ iMac has RAM that is user installable? Do you have a link to this information and can you share it with everyone? I was wondering if the iMac’s bluetooth 4.0 would help in any way make the wireless keyboard and mouse/magic trackpad battery life much longer… Would it? The specs above state 75% less brightness when it should read 75% less reflective! I read that this afternoon and did a double take. Wish they would have chop the horizontal aluminium section at the bottom of the screen and make it look like their cinema display ! 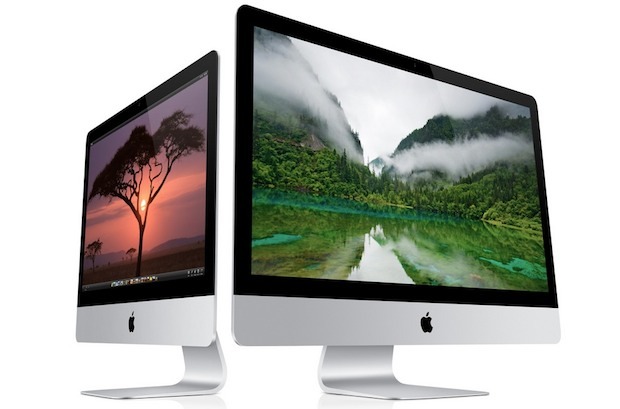 Hello, does anyone know where to find detailed spec info about the RAM modules for the 27” iMac? Check youtube on how to replace it. It’s simple. I run FCPX on my 27″ and have had 32g of ram stuffed in it for over a year! Why does Apple insist on producing models with limited RAM and either no option to upgrade or having to have it done by technicians? Now, they appear to have done the right thing (though 8gb is really too small a minimum) with the 27″ yet in basically the same chassis they retain the old – ‘can’t do it yourself’ nonsense with the 21.5″ – go figure. And while I’m complaining, (I’m an Apple user from Apple IIe days and a big fan, really), why don’t we have a 17″ MacBook Pro any longer. Mine finally died and, for some reason that is beyond me, all I see are tiny screened laptops with the exception of the odd Windoze offering – which I don’t want, thank you very much. I’m assuming that the prices given are in $USD. Any idea what they’ll cost in Australia?